Someone in Kansas City, Missouri, won a $7.3 million lottery ticket, but officials are not sure who. The Missouri Lottery is looking in KC for a person who matched all six numbers on Wednesday night, KCTV5 reported. The ticket was sold at a Brooklyn Mart at 2200 E. Truman Road in Kansas City. They had a number combination 5, 11, 14, 30, 33, and 34. The person who won the ticket has 180 days to claim their prize, meaning, that the person has until June 25, 2018, to claim their prize. 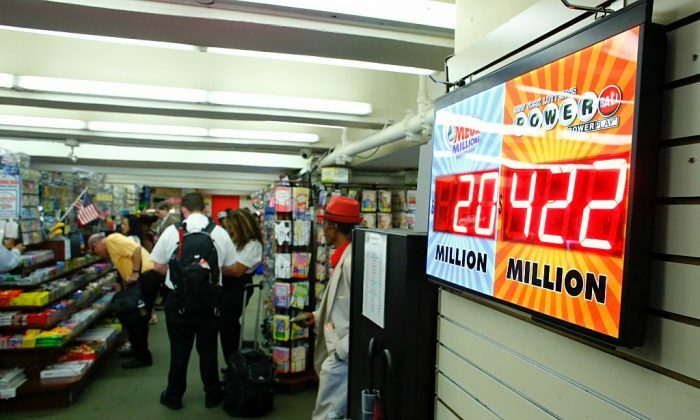 Meanwhile, the Mega Millions and Powerball jackpots rose to $306 million and $384 million, respectively. Nobody won the Powerball on Wednesday night, forcing officials to raise the stakes, according to reports. Several months ago, a Massachusetts woman, Mavis L. Wanczyk, claimed the winning $758 million Powerball ticket. “My pipe dream came true,” Mavis Wanczyk, of Chicopee, said at the time.“I called them and told them I will not be coming back,” she said of her job.